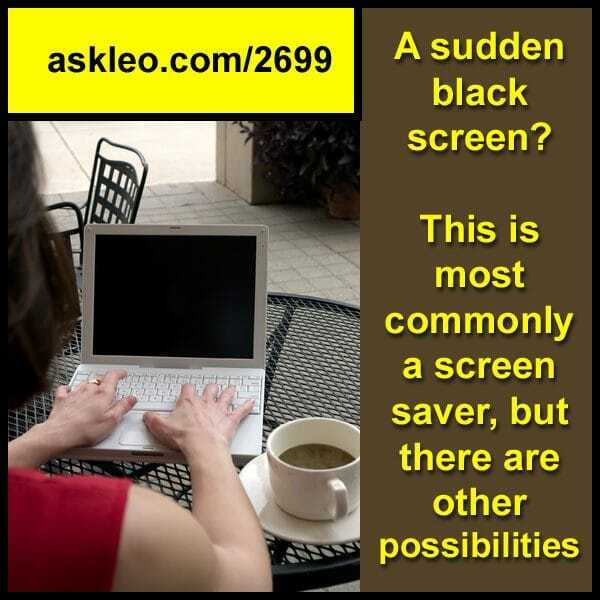 A sudden black screen? This is most commonly a screen saver, but there are other possibilities. - Ask Leo! A sudden black screen? This is most commonly a screen saver, but there are other possibilities. « Previous post: Why Does My Microsoft Word Document Display Differently on Different Computers?